Formerly of the beloved Mystery Science Theatre 3000 series, comedians Michael J. Nelson, Kevin Murphy and Bill Corbett have continued their life-long love of mocking movies with their RiffTrax series. Up next, they'll face their greatest challenge yet with a screening of Tommy Wiseau's cult classic disasterpiece The Room. The 2003 drama (an unintentional comedy, to be sure) is considered by many to be one of the worst films of all time. Because of this, it's become a cult classic with regular screenings around the globe. "The first time we screened The Room, at the five minute mark we were puzzled," RiffTrax' Michael J. Nelson said in a press release. "Ten minutes in we were cautiously optimistic. Twenty minutes in we were pretty sure this was the greatest RiffTrax material of all time. And so it was and is." 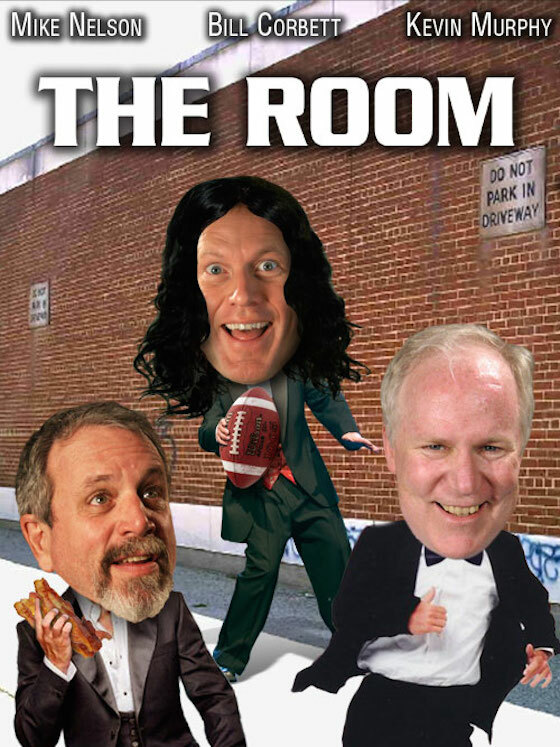 RiffTrax will bring The Room to Cineplex theatres across Canada on May 6, where they'll provide live film commentary via satellite. For a list of participating theatres, go here.